This entry was posted in poetry, Uncategorized and tagged haiku, haikube, poetry. Bookmark the permalink. 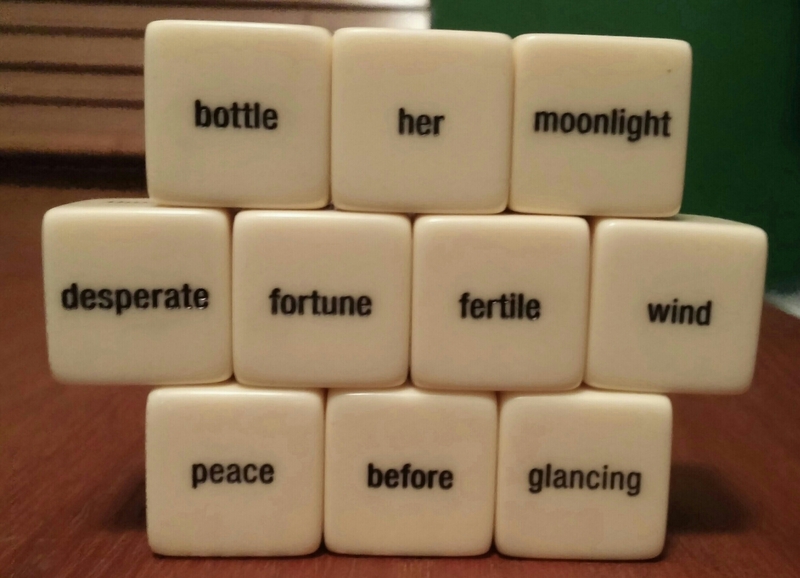 Two weeks ago at IndieVengence Day book signing in Frisco, Texas I asked some of the most talented poets I know to help me write haiku with blocks known as Haikubes. These blocks have words and phrases to arrange into 5-7-5 syllables. I was very grateful for their hard-work and support. This entry was posted in collaboration, poetry and tagged amber norrgard, Clay Giles, collaboration, haiku, haikube, james peercy, John M. Moody, Mary Ann Moody, Melissa Miller Zaro, poetry, Susie Clevenger, terri malek, writing. Bookmark the permalink. 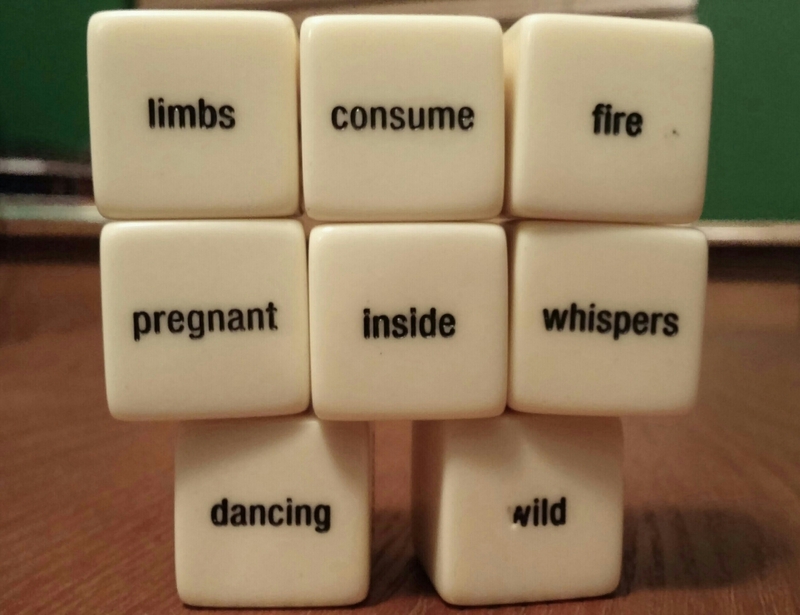 This entry was posted in poetry and tagged haiku, haikube, poetry. Bookmark the permalink.